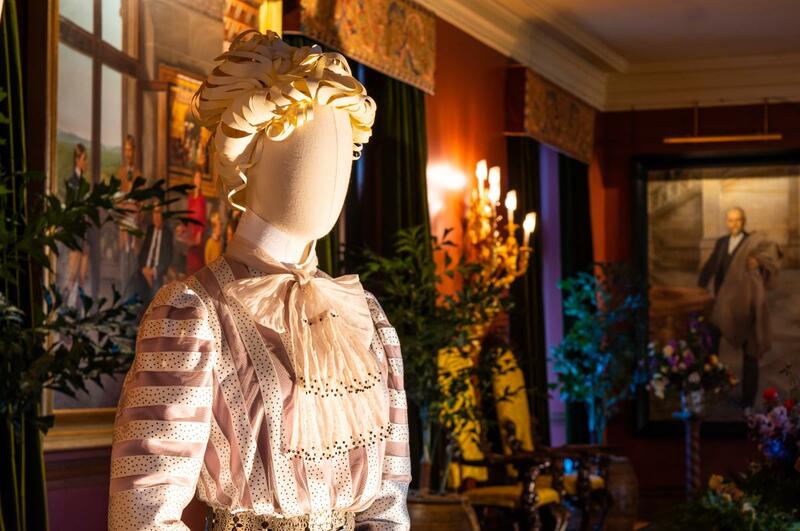 As you stroll through Biltmore&apos;s newest clothing exhibition, you&apos;ll experience what it was like to be a guest of George and Edith Vanderbilt at one of their extravagant house parties. 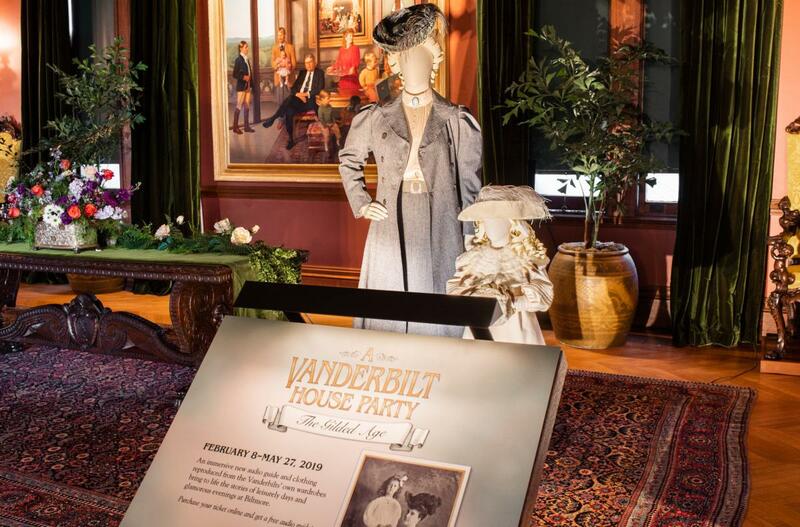 A Vanderbilt House Party: The Gilded Age transports you back to the turn of the century by showcasing clothing in locations of Biltmore House where the pieces were originally worn. 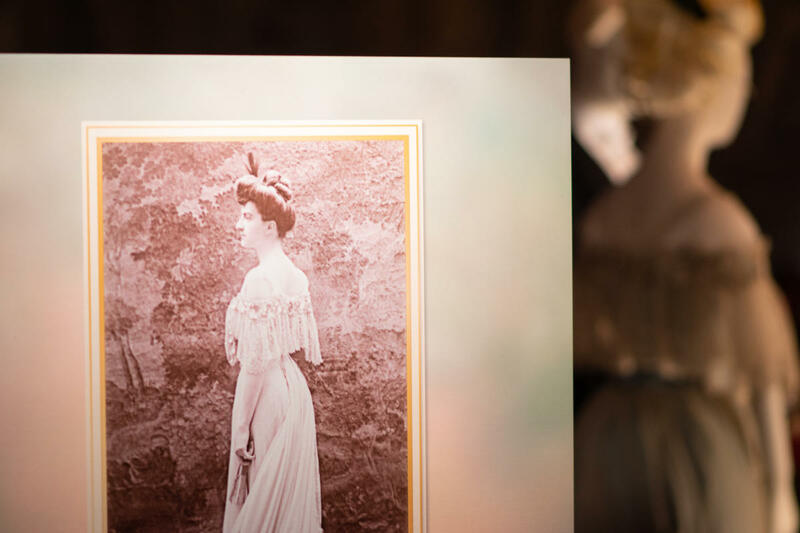 Next to each clothing display is a photograph from the Biltmore archives that inspired it. Even more, the exhibition is an immersive experience in which the expertly reproduced clothing is brought to life through audio storytelling presented with innovative 360-degree sound techniques. Curators have even introduced aromas into rooms such as the kitchen to add to the feast for the senses. The exhibition is on display February 8 through May 27, 2019. 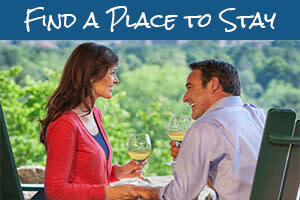 Please join us on this photo tour. 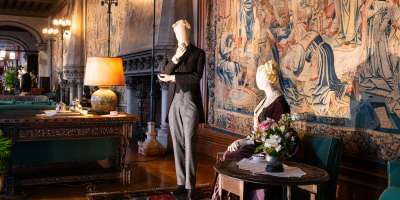 While these photos provide you a sneak peek at some of the clothing displays, making the trip to Biltmore yourself is the only way to truly appreciate the incredible detail of this highly-anticipated exhibition. 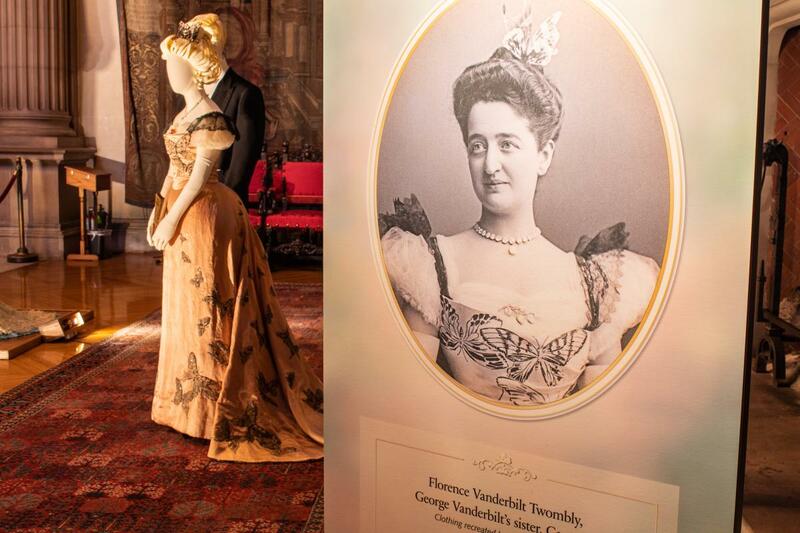 The "butterfly dress" worn by George Vanderbilt&apos;s sister (seen in the archive photo above) is one of the pieces that required the most research for the curators and designers. Given its intricate detail, it&apos;s one of their their favorites in the exhibition. The dress is found in the grand Banquet Hall. 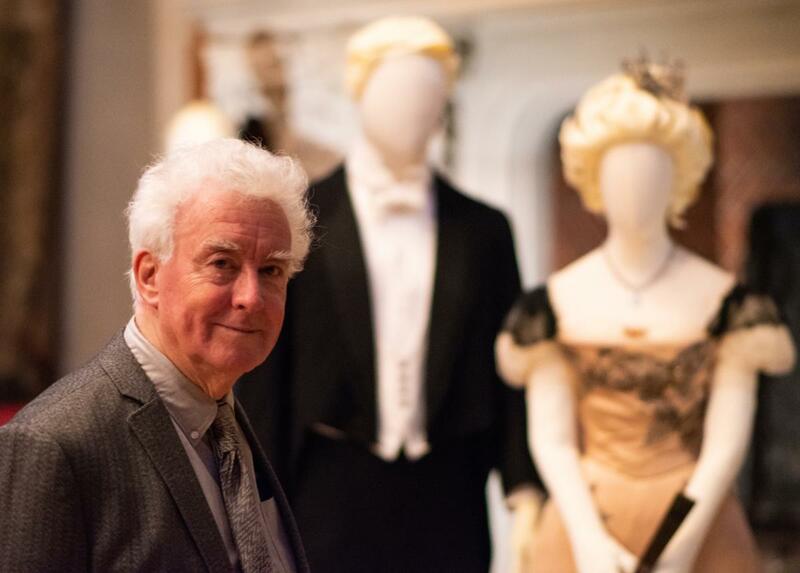 In the picture above, Academy-Award winning costume designer John Bright poses in front of the butterfly dress. 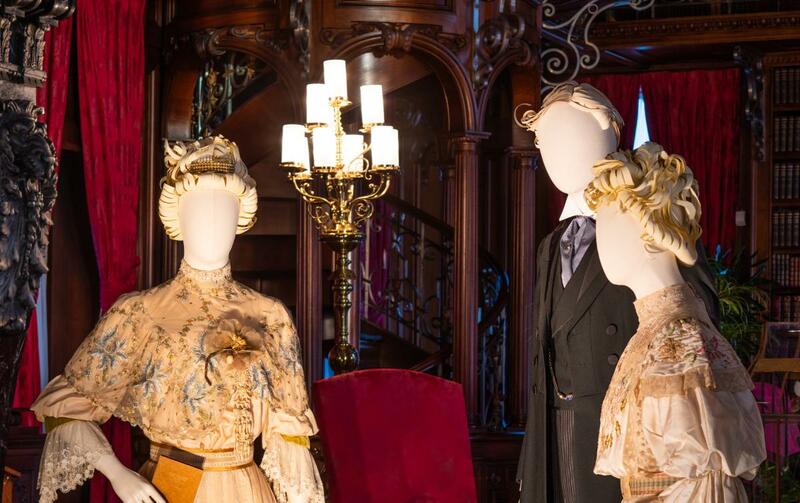 The 12-time Oscar nominee created the clothing items after studying in great detail the archive photographs and portraits in Biltmore&apos;s collection. 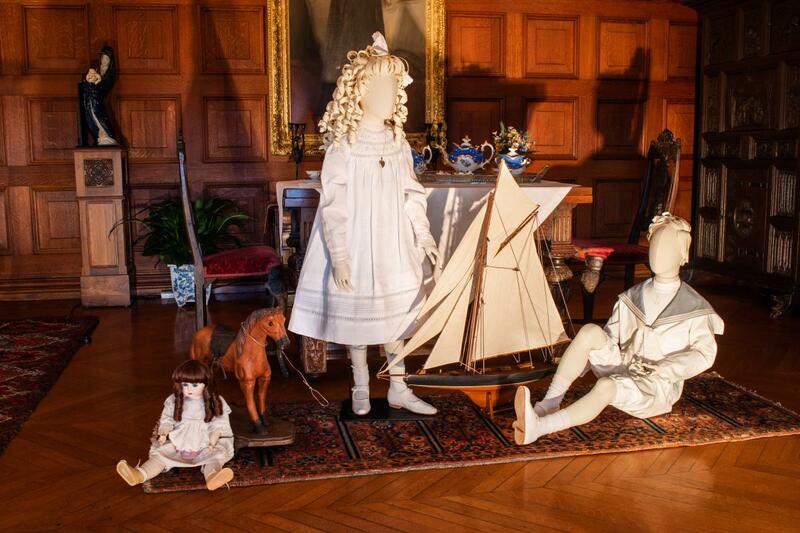 Biltmore has partnered with Bright and his London-based company, Cosprop, on all of its costume exhibitions. 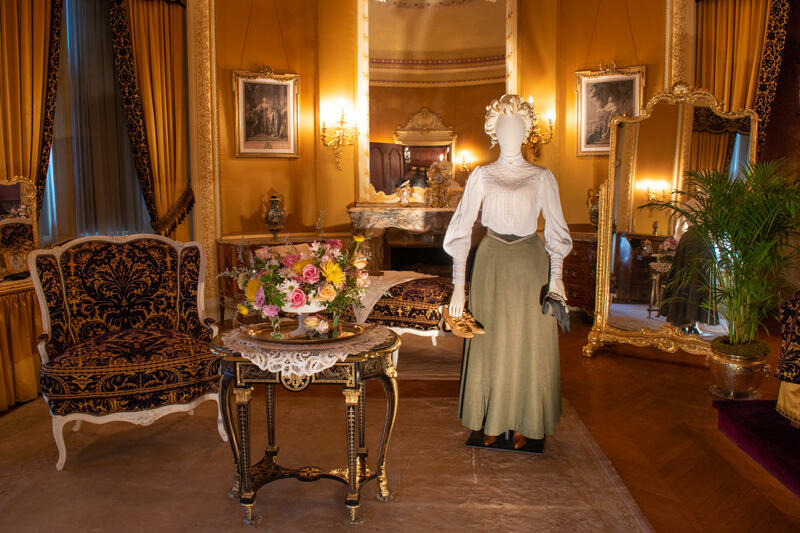 The now five costume exhibitions included the wildly popular "Dressing Downton," which featured Bright&apos;s creations for the television series "Downton Abbey." In addition to the stunning clothing reproductions, the exhibition features gorgeous floral designs. Among our favorite displays is this table setting in the Banquet Hall. The curators and designers who worked on the exhibition made sure that no detail was overlooked. They did tremendous research to determine how to recreate complicated clothing items, such as the polka dot design in the display shown above. Take a look at the "hair." The elegant paper wigs were painstakingly created by hand by Carolyn Jamerson after studying the style shown in the archive photos. This clothing display is located on the second floor. To bring this heartwarming photo to life, designers even made sure to recreate George Vanderbilt&apos;s tussled hair—what you&apos;d expect to see on a new father! 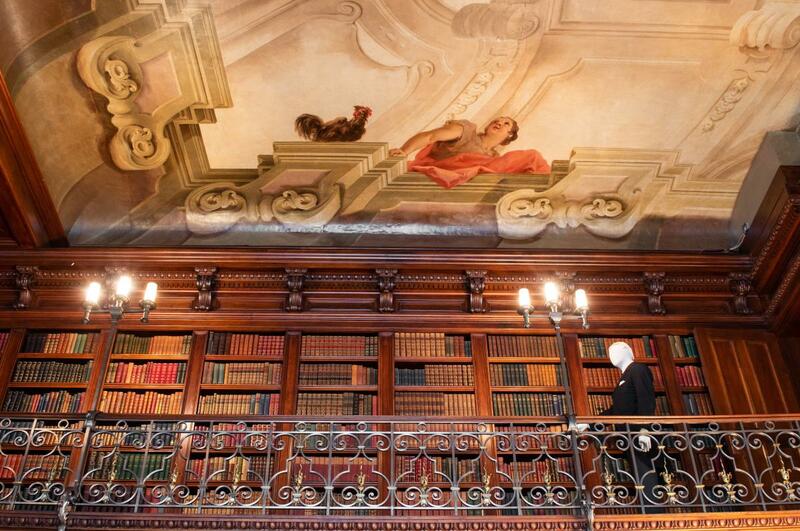 George Vanderbilt&apos;s Library is a visitor favorite. The exhibition provides the opportunity for you to experience it in a whole new way. As you listen to the audio tour, look around. 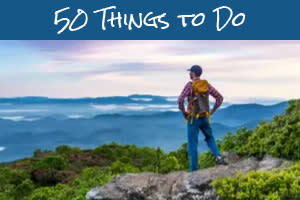 Don&apos;t forget to look up at the vibrant ceiling murals and at the clothing display "hidden" above. To create the designs, curators and designers closely studied photos such as the one above. While they had a little creative license with colors (given the photos from the archives are in black and white), they made every attempt to match each design detail. In some cases, they tracked down the clothing maker (for example, a companies which still exists today in Paris) in an effort to create reproductions that were as close to the original as possible. 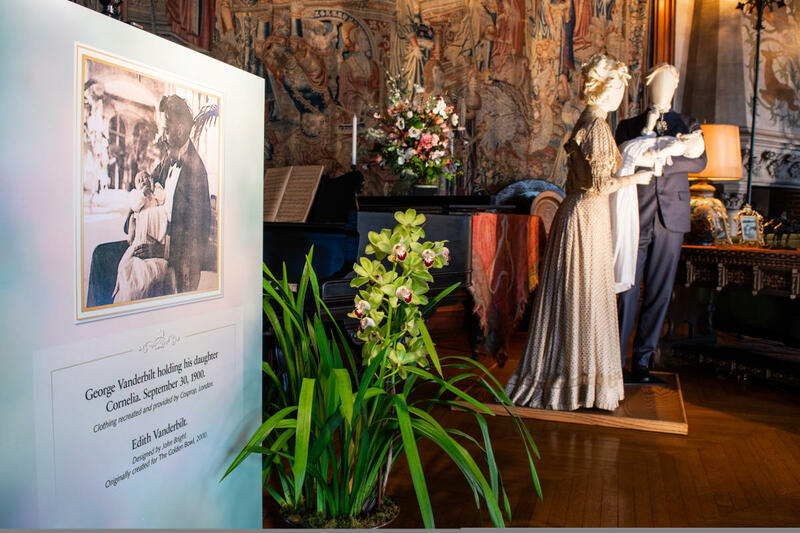 Not only does the exhibition feature many reproductions of clothing worn by George and Edith Vanderbilt, it also highlights the many others who called Biltmore home. Above, a display showing clothing worn by the children. There are also displays of clothing worn by House staff. 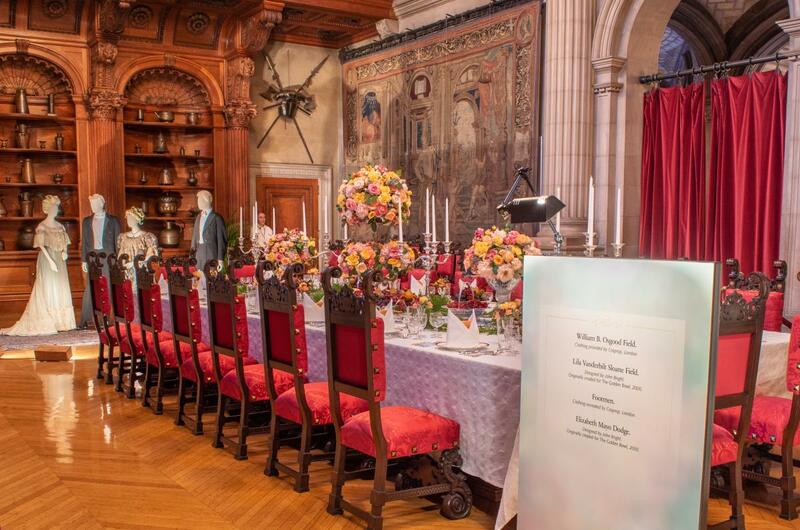 A Vanderbilt House Party: The Gilded Age exhibition is included in Biltmore daytime admission. The premium audio-guided exhibit tour is free with online ticket purchases or it can be purchased onsite for an additional fee. 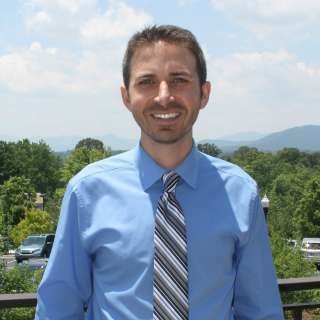 For more Biltmore visitor information and to learn how to purchase tickets to the exhibition, please visit Biltmore&apos;s web site.